The Montauk Monster Publicity Page | Oh, for the HOOK of a BOOK! 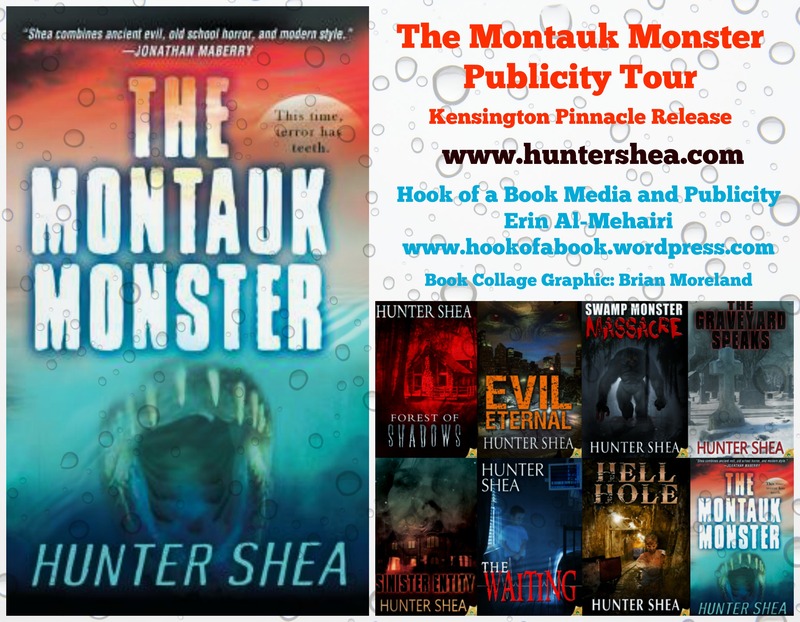 The Montauk Monster mass paperback written by Hunter Shea and published by Kensington Pinnacle in stores nationwide was called by Publisher’s Weekly as the summer read of 2014! Thanks for stopping The Montauk Monster Virtual Publicity News and Schedule Page! This tour is run by Erin and Hook of a Book Media and Publicity. This should be a great place for you to view all the stops that author Hunter Shea will make along the Monster Madness Train. Check out the articles, interviews, appearances, and reviews all surrounding The Montauk Monster and writing horror! If you would like to join in the fun by posting a review, guest post, or spotlight, or even interview Hunter Shea, just email me (Erin) at hookofabook@hotmail.com! We’ll take a post anytime, there isn’t any stopping point to a virtual tour! At least not this one! If you join in the tour, or want to help promote, use the hashtag #MontaukMonster on Twitter. If you get the book, take a pic and post to Twitter or Instagram also tagging #MontaukMonster. We’ll track photos for a special promo! 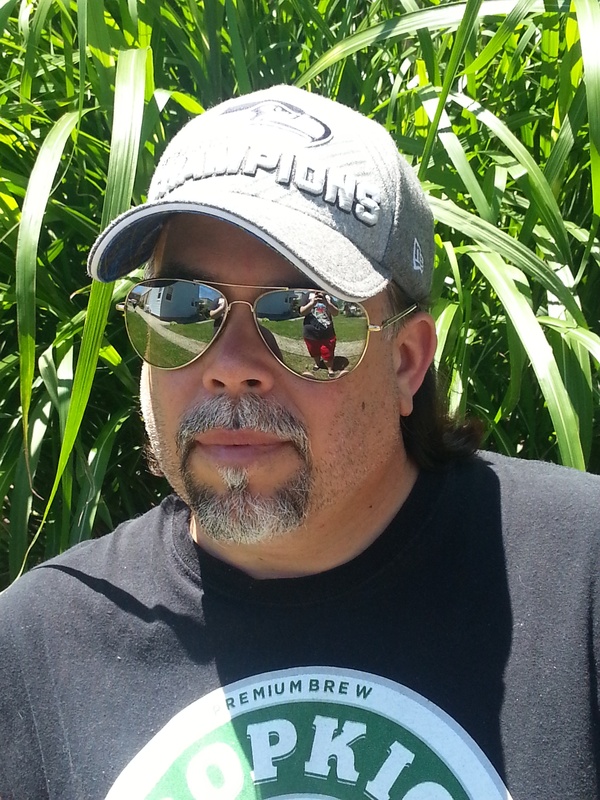 Hunter Shea is the author of paranormal and horror novels Forest of Shadows, Swamp Monster Massacre, Evil Eternal, Sinister Entity, which are all published by Samhain Horror. 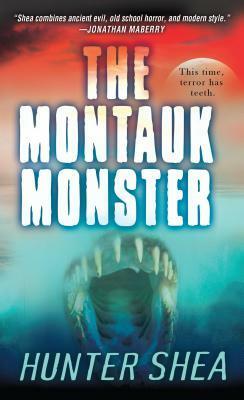 The June 3, 2014 release of his horrifying thriller Montauk Monster is published by Kensington/Pinnacle. He has also written a short story to be read prior to Sinister Entity, called The Graveyard Speaks (it’s free, go download! ), and a book of stories called Asylum Scrawls. His next book from Samhain Horror, titled HellHole, is set to come out in August 2014 and is his first western horror.